Rival Powered has proudly announced its latest release – Hot Hand, a classic 3-reel, 5-lines slot with some fiery action. The provider’s philosophy is rather simple: build games the players will love to play and provide services and support to bring those games to the market effectively. Burnadette is a she-devil and your steamy and sultry host in this Rival slot that will set you on fire. The symbols include scorching suits – hearts, spades, diamonds, and clubs. There are also blazing bells, combustible cherries, glowing gems, sizzling 7’s, and Burnadette herself inviting you to set the reels on fire and turn on the heat. When the mercury in the thermometer rises, the multipliers go up as well. If you add fuel to the fire, you’ll trigger a 2x wild multiplier on the first reel, a 3x wild multiplier on the second reel and a 4x multiplier on the third reel. All multipliers can combine and bring you some staggering wins. Ever since its inception in 2005, Rival’s creative artists, developers and visionary entrepreneurs have worked hard to earn their place in the already thriving realm of online gaming. The company offers more than 260 unique games including desktop and mobile and is home to revolutionary and profitable i-Slots. These games are story-based slot machines allowing the end-user to progress through a storyline while playing a standard slot machine. The storyline mimics that of a typical soap opera which is filled with an intricate plot of love, lies and deceit. The reels and graphics change, adjusting as the end-user makes their way through this interactive slot machine. It’s fun, it’s engaging and it’s highly popular. Rival has also developed a casino platform Casino Controller with unique features that include a state of the art back-end, hundreds of pages of reporting and customisable functionality. Most importantly, it gives you instant access to real-time reports at your mobile devices. Rival supports the responsible gaming in all the jurisdictions and meets the high standards the gambling industry imposes in all the areas including customer service, fair play, and operator accountability. We can’t wait for the Hot Hand to be out since they keep the details under wraps for now. 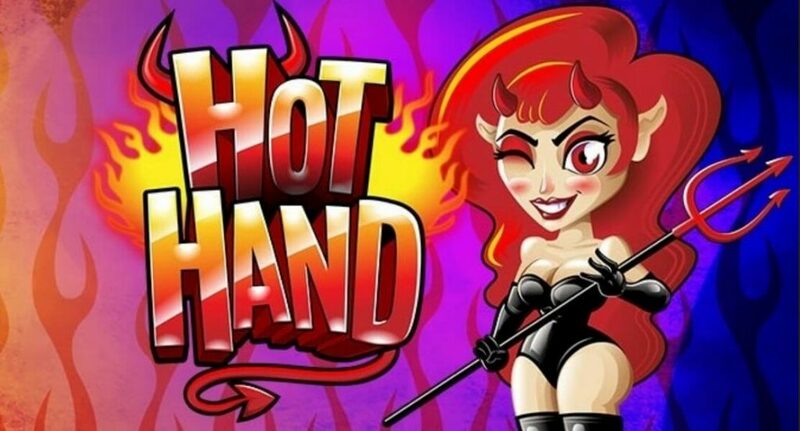 We sure hope you would enjoy this ferociously flaming slot and land some mega wins along the way.